From New & Used Sales To Parts & Service, Executive Nissan Aims To Provide A Truly Stellar Automotive Experience! Reputation: We have been in business for over 40 years. Selection: Choose from over 400 new Nissan and used cars we have in stock. Warranty: We’ve got you covered – every new Nissan comes with dent repair and loyalty rewards at no charge. Certified Inventory: We offer a comprehensive selection of certified used Nissan vehicles in North Haven. Time Sensitivity: Quick and convenient service, with vehicle delivery within 2 hours. Internet Direct Pricing: We compare our pricing with over 1,000 automotive websites daily to ensure our inventory is priced fairly. Financing: We have the right financing for you! With over 20 different lenders, we can give you the best available rate on a Nissan lease or car loan. Loyalty: We have a solid base of loyal, repeat customers. Our customer satisfaction rate exceeds the national average. Check out our reviews and BBB rating! Parts & Service: We have service and parts departments that are open 6 days a week and stay open late on Thursdays. We also offer after-hour drop off, 3-lane drive thru service, 28 service bays, shuttle service within a 15 mile radius, available daily rental cars and ASE certified techs. 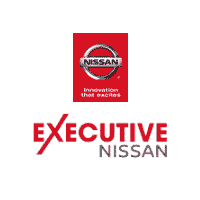 Executive Nissan truly has every one of your automotive needs covered. The only question left now is how we can best serve you. To take advantage of any one (or more) of our services, be sure to contact us today by using our online contact form. Or, stop by and see us in person at 900 Universal Drive N in North Haven, CT today.